I love discovering fresh, innovative clothing lines. And Kowtow is a new favorite. I found the line a few weeks ago at Legion, one of my favorite boutiques in San Francisco. The owner, Sydney Pfaff, has exquisite taste. I was immediately smitten by the eco-friendly New Zealand-based brand whose architectural shapes, flattering fit and sweet details make each piece unique. I ended up leaving with the Direction Pant in the "Going in Circles" print (second image). These pants are remarkably flattering, which I was surprised by since I have a curvy figure. Light weight (perfect for spring and summer), with a style that can be dressed up or down, I've been wearing these pants non-stop since I purchased them. On my wishlist is a bunch of items from the line, but I'm especially eyeing all three of the tops seen here. With cutting-edge prints and creative concepts, this is one line to keep on your radar. 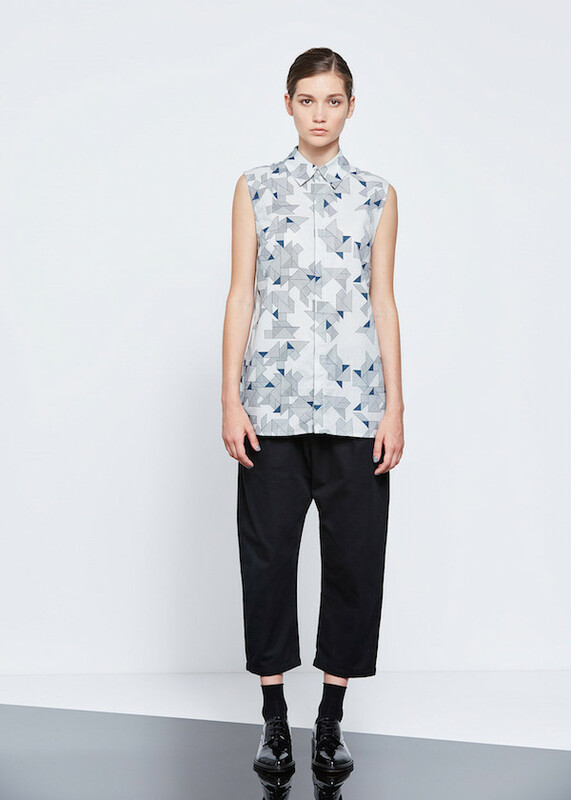 Find Kowtow at Legion in San Francisco or online at kowtowclothing.com.